Kasmer Insurance Agency, L.L.C. 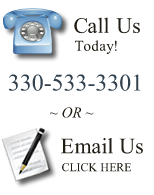 is an independent insurance agency located in Canfield, Ohio. Locally owned and operated since 1976, we are proud to provide insurance and financial services to more than 4000 individuals, families and business in our area. Our agency is committed to building solid relationships with our customers through practical solutions and excellent service. As an independent insurance agency, we can offer what no captive agent can: Choice. Because we represent many respected insurance companies, we can focus on providing you with the right coverage for your needs. We are always available to offer you personal one-on-one service with what can be one of the biggest decisions you can make in your life. We will continue to earn your respect by providing top-quality policy and claim service. Kasmer Insurance Agency is licensed to conduct business in the state of Ohio. PLEASE NOTE: We cannot bind coverage from requests sent through our website. If you need to add to or change your coverage, please call our office during business hours: Monday – Friday, 8:30am – 4:30pm.